As LT moves forward to its final state on daily basis I want to talk about some things that were not described fully - Construction/Colonizing on planets. While we have somewhat similar threads in "Commonly proposed ideas" none of it covered that topic deeply enough. I have no idea if Josh is planning deep interaction with planets or not, but it can be quite interesting to talk and investigate anyway. The purpose is quite simple building and management tool while it remains possible to create complex bases/cities. The idea is to start from main building with small landing pad on it (command center) and then build everything starting from here. The more functions you want to be performed by facility the more buildings it requires. There is only one building that you place on top of the surface - every new building just adds weight to that one node. How you build: just like the 1st one, with the only exception that you do not place buildings. Command center - hub for all other buildings, its destruction stops operation of the whole facility. All facilities can be built in a defined area around CC. Housing complex - determines how many workers available. Not needed if there is a city under your control. Energy station - produces energy for other buildings. Not needed if there is a city under your control. Transport platform - allows transportation of goods to/from planet's surface using transport beam. Can be used only in close proximity to planet without landing (if ship is too big for landing pad). 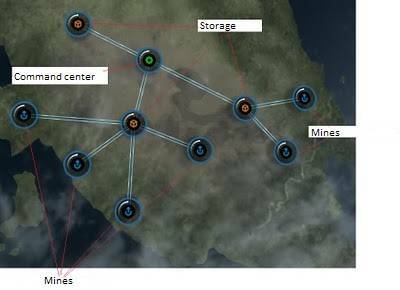 Mine - harvests some amount of all available resources that depends on planet resource richness . Can select what materials to harvest. Have different sizes. Weapon production facility - can produce weapons . Needs blueprint and recourses at CC. Hull production facility - produces small ships (fighters and corvettes). Needs blueprint and recourses at CC. Sensors - provide long-range detection. It also possible for them to simply use capital size weaponry that is procedurally generated. - basically "All-in-one-node" that perform many tasks at once. Can be built only using heavy "colonizer" ships that land on planet and are deconstructed to provide people with housing. Building such a beast is VERY HARD and requires some help from big factions to actually find people for new city. Every city performs role of CC with build-in space port, infinity work-power and energy but also serves as a "sink hole" for commodities. All planetary facilities must be detected before you can interact with them (or just buy a map), it will look lame to me if I will know all colonies/bases in the system after entering it. Every building has some kind of emission, sum of all emissions creates "signature" parameter of the base/city. If you want to build stealthy base you have to think about its size or use special stealthy-buildings. Cities have very large emission and quite hard to hide. Planet-based sensors are also big source of emission but they have pretty good radar range. All building can be seen only after scanning while orbiting planet. After scanning you can see building icons on planet surface and try to bombard them. Last edited by Alimarin on Thu Nov 07, 2013 2:20 pm, edited 3 times in total. While I do dig the idea of planetary nodes, I have one big problem with the concept. And that is that a planet is basically just another space station with a funky docking screen. Manufacturing, research, armaments, ship construction facilities and sensors are already present as elements for space stations. I'd like to see planets offering something unique, something to make them desirable for a player, something that a space station can't do or can't have. Else, we can simply slap the existing space station mechanics onto a planet and call it a day, since the result would not justify any extra work. So, what options do we have to make a planetary station desirable? I can think of a few. 1. Raw material generation directly attached to the manufacturing plant. Basically, you save yourself some hauling of raw materials, since they can be obtained locally. Probably not all of them, since a completely self-sufficient system would screw the trading part over. However, a space station could probably do a similar thing with mining drones. Would be tied to the construction of mines and farms. 2. Exclusive raw materials/manufactured goods. Some materials are only found on planets and/or some product classes can only be manufactured on planets. 3. Size limitations on space station production modules. There is an upper limit on the size of space station fabbers. Anything larger than that will have to be built planetside. Space stations can be blown up at leisure if you have enough firepower at your disposal. Planets can't, the best you can do is conquer them. Would probably require specialized equipment and mechanics. Would tie into the construction of planetary defenses (garrisons and transorbital weaponry). There's an upper limit to the size and storage capacity of a space station. Planets have no such problems, allowing you to stash pretty much unlimited amounts of stuff on a planetary base. Might tie into the construction of additional warehouses and hangars from time to time. Keep in mind, this is a AND/OR list, and by no means carved in stone. It's merely a few suggestions on how to differentiate a planet from a space station. One way that planets could be distinguished from stations is the type of ship needed to kick off their colonisation. Elsewhere there has been discussion that creating a new space station will be done through the creation of a fabrication ship that, once in position, becomes the station. I'd propose that for a planet you need a colony ship, which is a much bigger deal (and much more expensive) and probably needs its own hull type. mcsven wrote: One way that planets could be distinguished from stations is the type of ship needed to kick off their colonisation. Elsewhere there has been discussion that creating a new space station will be done through the creation of a fabrication ship that, once in position, becomes the station. I'd propose that for a planet you need a colony ship, which is a much bigger deal (and much more expensive) and probably needs its own hull type. Yeah, I can see planets as being a late-game large scale strategic and logistical goal to develop and utilize for your future conquests. Hardenberg wrote: While I do dig the idea of planetary nodes, I have one big problem with the concept. And that is that a planet is basically just another space station with a funky docking screen. Manufacturing, research, armaments, ship construction facilities and sensors are already present as elements for space stations. Simple and easy. Another item to add to the list would be the resource generation on a fully developed world should dwarf a station. The size difference is just impossible to ignore. Of course this is dependent on the planets resource makeup as well. I like it! Though I'd like to combine this with the planet handling in GalCiv 2, where you get locations that are a bit more interesting to place certain buildings on. Eg power generation in a desert, ice/water harvesting on the poles, etc. but using many such requirements can also make it more complex and we do not need one more SIMCITY game. I would love to see what a simcity game looks like when Josh created it though. I bet it's all kinds of fun! That really depends... As a shopkeeper I would like nothing more than everybody who enters the city gets my address feeded to them somehow. To me, it actually makes sense that when you enter a sector, the places that sell stuff will make them, and their wares, known to you. Of course, there could be some shady places that don't really seek attention, but they should be in the minority. Katorone wrote: That really depends... As a shopkeeper I would like nothing more than everybody who enters the city gets my address feeded to them somehow. To me, it actually makes sense that when you enter a sector, the places that sell stuff will make them, and their wares, known to you. Of course, there could be some shady places that don't really seek attention, but they should be in the minority. Yeah, it will be cool to allow some bases/cities to broadcast there position with advertisement if they want so. Jerek Adams wrote: the resource generation on a fully developed world should dwarf a station. The size difference is just impossible to ignore. Of course this is dependent on the planets resource makeup as well. This. An interesting approach would be to define space-based resources as finite and planetary resources as infinite. That way there's an interesting choice to be made between optimizing for a lot of relatively fast/cheap extraction ops in space, or for a few slow/expensive planetary extraction ops. That has military implications as well. If your faction is based on asteroid mining, you can pretty easily pull out of a sector (temporarily!) and mine elsewhere should some bigger faction move in on you. If you've opted for the bigger, more long-term payday of mining planets, you'll probably also want to pay for appropriate defenses since those extraction locations are fixed. I do have a couple of questions (not criticisms, just questions) about planetary operations. 1. What's the mix of inhabited worlds versus colonizable or minable worlds? In other words, will LT have just a very few high-tech "core" worlds and a large number of uninhabited worlds intended for resource extraction? Or will the population of the typical LT universe be more evenly distributed, and most worlds with decent resources will also have people living there who might not appreciate your strip-mining the place? Good questions, really. Of course, not being Josh, I can't give accurate answers, but I can share my thoughts on the subject matter. 2. For sake of simplicity, I'd prefer one planet - one faction. Makes acquiring acceptable targets easier, and also provides something that factions can bash their heads in over. It's not like we had a limited number of systems, so why bother sharing? Not really a fan of truly finite resources, for reasons specified elsewhere - they tend to leave plundered husks of systems and might trigger locust swarm type behavior, which I'd rather see avoided. Limited resources would be a problem. Now a decline after some time of the amount harvested per time unit would force people to explore more for resources to maintain production. Kinda like peak oil. Unfortunately this may have the effect of overpopulating the universe with mining ops. Infinite resources are better. On a planet given time your planet should produce more resources faster. It is a planet after all and building a resource gathering, processing, and refinement facility in space should be a more involved process (not translated to game-play) than building a complex on the ground (subject to planet characteristics). I say this only in reference to the final output as regards spaced base operations over planetary ones. I don't actually want one to be more involved over the other in reference to how it works in the game. So then could we not just have station modules added to a planet but yield greater results than if they were in space? Not that you would see the module but just that it would alter the planets "stats". The greater yield due to the greater infrastructure support and ease of operation in a "suitable" atmosphere. Not to argue the case, but just as an explanation, the notion that the amount of minable resources in one specific asteroid is finite does not mean that there aren't other asteroids in a system, or that there won't be many (infinite) systems with asteroid belts in them. Given enough playing time, I suppose it's possible that a player might be able to assemble such titanic mining fleets as to clean out a system of asteroid resources in a few hours. The consequence of that choice would be to cause the player to need to move that fleet to new systems. 1. Why is that a choice a player should not be able to make in a single-player game of infinitely spawning systems? 2. 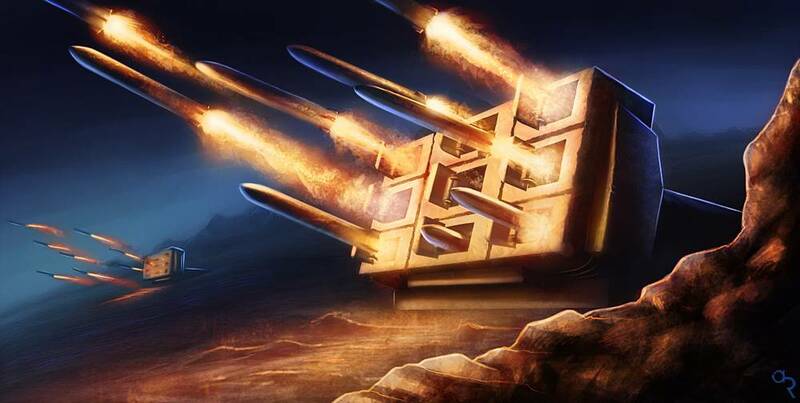 If Limit Theory is designed to generate appropriate challenges to players to keep them entertained, why can't it generate an appropriate challenge for a "locust mining" player as well as the more conventional "military conquest" player? The player isn't alone in exploiting system resources. And the artificial aging of space prior to the player's presence will be detrimental here. In an absolute worst-case scenario, you'll stumble across vast expanses of dead and empty systems. No items in the stations, since there are no raw materials. No ships in space, since they got shot to bits ages ago, and no new resources are available to rebuild them. No asteroids around, since they got depleted long ago. Factions that exist only on paper, since the majority of their assets got destroyed and they are unable to rebuild. Constructing stations is a lesson in futility, since the system you build them in will be as dead before long. There's a reason why EVE's asteroid belts respawn on a regular basis. The resources there get depleted at an amazing rate with all the warfare going on. If you make the finite resources large enough to keep the whole shebang going for a long time, you might as well make them infinite, since in they won't deplete in the timeframe you're interacting with them. Make them so small that they deplete in said timeframe, and you risk the universe around you succumbing to entropy. IMHO, finite resources are an instrument used to force an endgame state, which we obviously won't be having. I'd rather see an infinite source of potential targets and items than dead space. Your mileage may vary. A compromise might be to limit the extraction rate of resources, as seen in games like Supreme Commander or Total Annihilation. Am not prepared to discuss planet mechanics just yet, so excuse the limited scope of this reply. I just wanted to weigh in on the issue of research respawn, which I've addressed a few times before. My current position on it is: resources will respawn, but every system has a fixed maximum replenishment rate. For a big-time strip miner, if you really do have a fleet that's capable of massive extraction capacity, then you will start to look at systems as resources in and of themselves, where their value is defined by their replenishment rate. You will find some systems in which your ships will constantly find new sources of ore even after extensive strip-mining. On the other hand, you'll find some systems where they seem to be more-or-less dead after your operations. Part of your prospecting job will be not just finding new ore, but, more importantly, finding the best places for finding new ore (where it respawns quickly). Hardenberg wrote: The player isn't alone in exploiting system resources. And the artificial aging of space prior to the player's presence will be detrimental here. Yup. Kind of like finding those massive wrecks in Homeworld 2. Husks. Total Anihilation!!!! I love the arty in that game!!! So much mayhem!